Rinse the thawed turkey, save neck and organs for making stock later if you desire. Pat the turkey dry and place it breast-side up in the roaster pan. If the lid doesn’t close tightly over the turkey, you will need to break the breastbone to ensure a tight fit. Otherwise, do not use this recipe. Put some pieces of the celery, apple, onion, and butter in the turkey cavity. Do not overstuff. Put all remaining pieces around the sides of the turkey. Rub a light coating of olive oil on the turkey and sprinkle with salt and pepper. Add a cup of water to the bottom of the roaster pan and cover making sure the lid fits tightly. The turkey should have some clearance so that it is not touching the roaster lid. 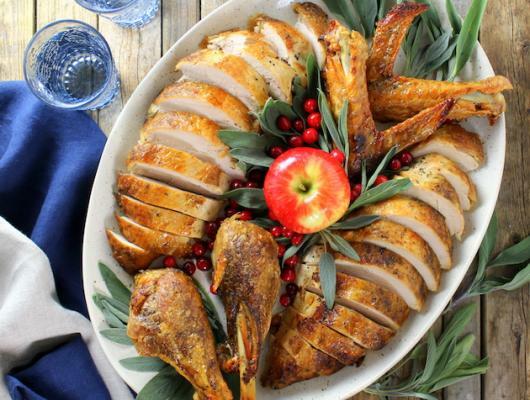 Place the bird in a preheated oven and cook at 500 for one hour, then turn off the oven and *do not open* for 5-6 hours. 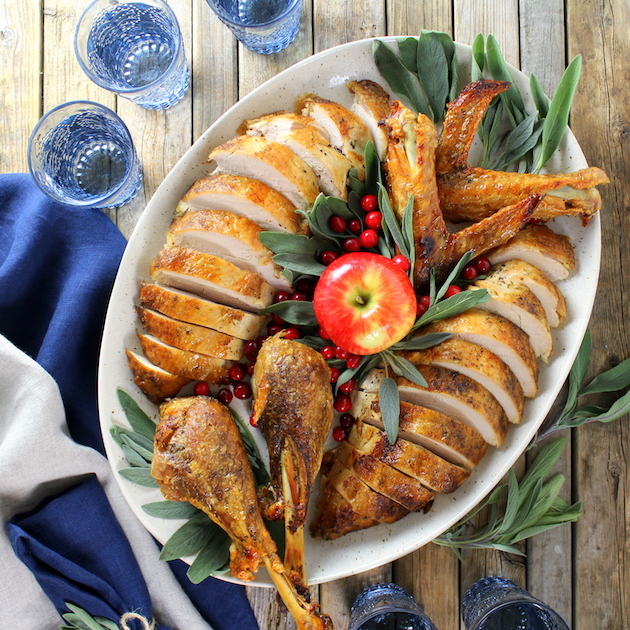 Literally the perfect Thanksgiving & Christmas turkey recipe - foolproof!